I have been around many games and products that had poor results but the game teams kept thinking that everything would be fixed with the new features they had on the roadmap. It never worked. A recent post by Andrew Chen, “The Next Feature Fallacy,” shows the metrics of why adding product does not turnaround an unsuccessful one. Too few people will use the feature. 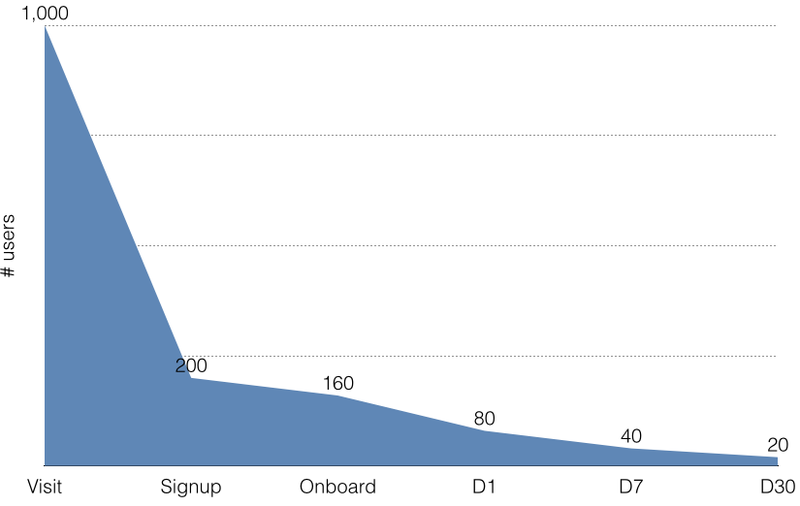 Most features target retained users, but as the above shows that if it is a feature post-D7 (day 7) it will only touch 20 out of 1,000 users, and if it is D7 it only impacts 40. The other key failing is that the feature will make a small impact when users to engage. This is often the case when key functions are displayed like optional actions outside of the onboarding process.